What Are the Most Common Symptoms of Cataracts? Eventually, if a person lives long enough, he or she will inevitably develop cataracts, or a clouding over of the natural lenses of his or her eyes. Sadly, cataracts remain the primary cause of blindness in underdeveloped countries. However, in the United States, cataract treatment of the highest quality is readily available at such eye care centers as Byrd Eye Clinic, where world-class ophthalmological care is available at a local level. Cataract removal is a straightforward surgical procedure. Dr. Thomas Byrd uses state-of-the-art technology and techniques to remove the affected lenses of the eyes and replace them with either monofocal or multifocal intraocular lenses (IOLs). Patients who opt for the latter often emerge from cataract surgery with better vision than they have had in years, with the ability to see clearly at all distances without the need for contact lenses or eyeglasses. In this sense, for many patients, cataracts end up being something of a blessing in disguise. However, the effective treatment of cataracts depends on their timely diagnosis. If cataracts are not diagnosed and treated in a timely fashion, the eyes can be permanently damaged, and vision loss will eventually ensue. This is why Dr. Byrd emphasizes the importance of recognizing cataract symptoms to patients of his Detroit, MI eye care practice. If you are suffering from any of the cataract symptoms described in this blog post, we urge you to schedule a consultation with Dr. Byrd immediately. 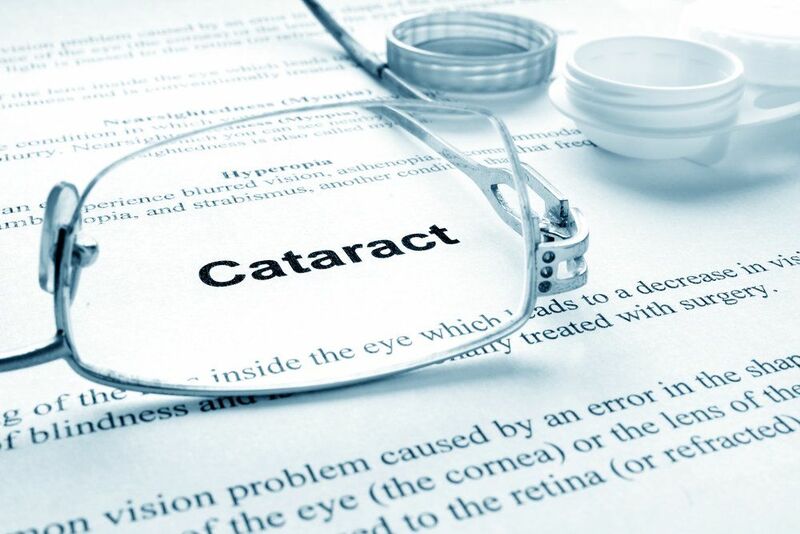 In their earliest stages, cataracts may not produce clear symptoms. As the proteins in the eye continue to clump together, however, the person’s vision will become increasingly clouded. This clouding of the vision is the most common symptom associated with cataracts. It is important to note that pain is not among the common symptoms of cataracts. If you are experiencing eye pain along with decreased vision, you are most likely dealing with a condition other than cataracts or in addition to cataracts. Either way, it is important that you seek diagnosis immediately. If you would like to learn more about cataract symptoms, or if you would like to schedule your initial consultation with Dr. Thomas Byrd, we encourage you to contact Byrd Eye Clinic today. We would be pleased to answer any questions you might have and assist you in scheduling an appointment.